Snowshoeing in the Dolomites – discover hiking on snow! Snowshoeing is fun and easy – it’s just like hiking on snow! It is also great exercise and provides a unique and unforgettable way to experience the Dolomite region in all its wintry glory. 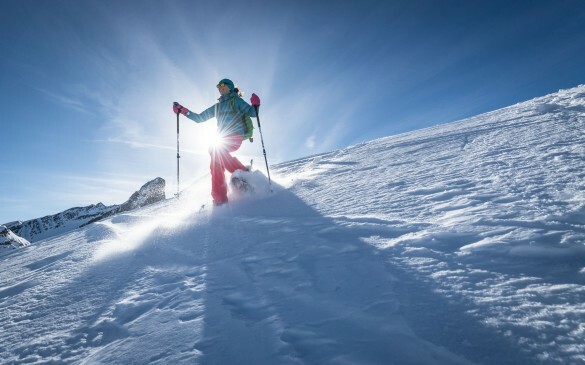 Whether you choose to snowshoe each day from your hotel, or travel hut-to-hut for a little more adventure, you’ll enjoy memorable moments set against some of the most breathtaking backdrops on earth. While the Dolomite Mountains are spectacular any time of year, winter is perhaps the most magical. Witnessing this beautiful mountain region blanketed in pristine white snow is unlike any other sight in the world. And what better way to discover the Dolomites in winter than on a pair of snowshoes? 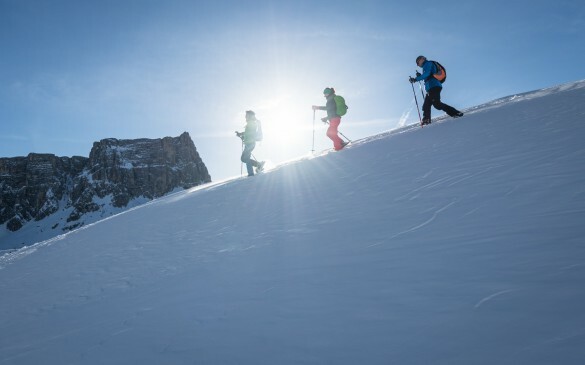 Snowshoe on the Alta Via N.1 – one of the famous High Routes of the Dolomites! Travel across some of the most breathtaking scenery in the incredible Italian Alps, watching the spectacular angles of these grandiose mountains change right before your eyes! Discover the magnificent Dolomites in all their wintery glory and experience the unique charm and warm hospitality of traditional mountain rifugios on this exciting showshoe adventure! Experience the majesty of the Dolomite Mountains in a truly unique and memorable way. Enjoy exhilarating hiking on snowshoes, snowshoeing hut-to-hut in the Dolomites’ Fanes-Sennes-Braies Natural Park and Cortina d'Ampezzo. Take in the spectacular panoramic vistas in areas that can only be accessed on foot during winter!